How do B2B companies plan to generate more leads and grow revenue now and in the year 2020? This article provides an overview of their insights on how to improve B2B lead generation and grow revenue. Their firms were either taking the actions described or they believed their companies should be doing so. If your goal is to increase leads and sales, putting a greater emphasis on digital marketing is one way to get there. 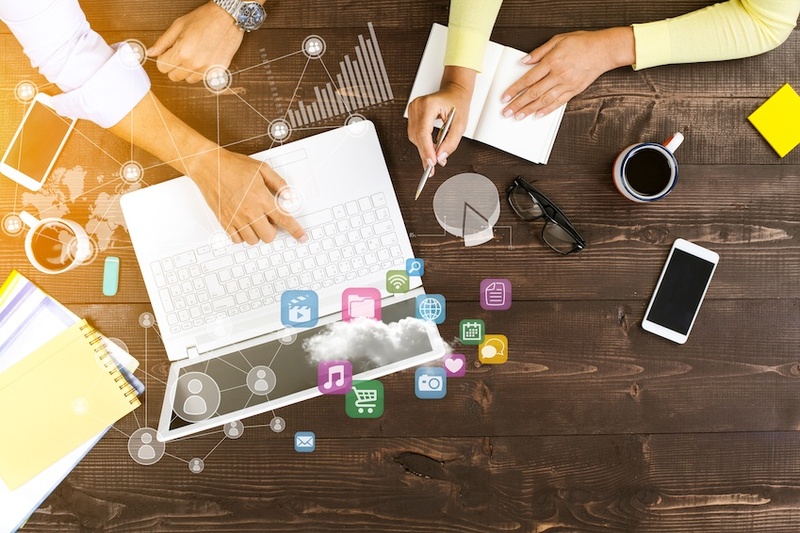 More and more small businesses today are incorporating digital marketing into their day-to-day strategy to reach and engage with consumers. Retargeting, also known as remarketing, is an online advertising strategy that focuses on past website traffic and consumers who have shown interest in your products or services. Unlike other types of digital marketing, which strive to reach new consumers and expand visibility, retargeting ads attempt to reconnect with users who have previously visited your site or a particular landing page without completing a conversion. Find out how retargeting works with this beginner’s guide to retargeting ads. Account-based marketing (ABM), also known as key account marketing, is a strategic approach to B2B marketing. ABM targets one company (or one account) and further targets the decision makers of that account with coordinated and high-touch sales and marketing tactics. According to ITSMA, 85% of marketers who measure return on investment (ROI) describe ABM as delivering higher returns than any other marketing strategy. Another way to improve B2B lead generation and grow revenue is to create content. Content is important in both attracting and nurturing prospects. Creating content for every stage of the buyer’s journey (awareness, consideration, decision) will help you have authority over the competition. All three panelists agreed that they are spending more time on longer, foundational pieces; fewer in number but better in quality. They then take these large works and “cut them up” into smaller pieces to reach more specific audiences or to use on a wider array of social media outlets. While more meaningful content has the risk of being copied by competitors, Coffey, Toth and Solorio believe the impact of establishing themselves as experts far outweigh the risk. Additionally, they all talked about the growing complexity of the buying process for their clients and the need to reach each member of the “voting committee” with content, paying special attention to the “influencer” in the buying group. If you want to attract prospects and grow your business, you need to get strategic about publishing the right content, in the right format, in the right place and at the right time. When Lubrizol realized its business is really B2B2C, it had to address their clients’ clients who were also looking to them as experts and accessing their content accordingly. When creating content, don’t make your company the center of attention. For Lincoln Electric, Hyland and Lubrizol, their most-read content often never mentions the company prominently but rather focuses on the product/process as a solution to the buyer’s pain point. Customer experience is not just for B2C companies. In order for your B2B company to stay current and provide the best user experience for customers, you have to know your customers. As soon as you know who is buying your products, you know how to best optimize their experience. Lincoln Electric, Hyland and Lubrizol are optimizing for all platforms, including mobile. If your business is generating a lot of leads but few sales, you may have weak leads. Rather than aim for more leads, you should strive for higher quality leads. Lubrizol has a “lead coordinator” who takes marketing qualified leads (MQLs) and does further work on them to make sure they fit the criteria for a qualified lead. Furthermore, Lincoln Electric is constantly reviewing its persona development. For example, the company learned that it could better expand its business by focusing not on its traditional personas, but on people who aren’t welding but may want to. Although this has been improving, it remains an important issue. Coffey, Toth and Solorio talked about the need to “market marketing” internally to the firm and especially to sales. The most powerful tool digital marketing provides is data because it allows marketing to more easily “prove itself” to the sales group. Most importantly, marketing must “know what a good lead looks like” when passing leads to sales and help sales use technology to further develop and close those leads. Lubrizol, for instance, uses Yammer to have sales and marketing communicating regularly in an open format. Additionally, Hyland focuses on discussing “pipeline gaps” on its long-lead-time sales. All three panelists discussed technology as a sales enabler, especially the use of data analytics in helping the sales process. Hyland, for example, employs several data scientists who observe buyer behavior to try and develop more effective selling techniques and accelerate the buying process. Over the years, advances in technology have considerably changed buyer behavior. In order to adjust, Hyland uses technology aggressively to “be present” with its customers. In fact, everybody has a webcam on at all times. They are using video technology as a greater part of their content delivery as well. Bottom line, Coffey, Toth and Solorio believe you have to be prepared to communicate with customers in whatever format they prefer. B2B companies are quickly embracing new marketing strategies to grow sales in both domestic and international markets. Those companies that address changes in customer expectations and consumer behavior, use data to improve customer insights and predictive analysis and adapt to changes in the global marketing environment will continue to generate more leads and grow revenue.